So what is juicing? Juicing extracts the juice out of fruits and vegetables, distilling vitamins, minerals and phytonutrients into a liquid form, B-lining them into your body. New research shows eating up to seven servings of fruits and vegetables a day can have a positive impact on your lifespan. For most of us who find it a challenge to munch down on at least two servings of produce with every meal, juicing can be an easy way to condense this volume of food into a single beverage. Ounce for ounce, many fruit juices have as much sugar as a regular soda. Our bodies do not discern whether the sweet pouring down our gullets is from added sugar or sugar that is naturally in juice. Added sugars – whether from sugar, high fructose corn syrup or fruit juice – can have a negative impact on our health. For years, researchers have found a higher risk of type 2 diabetes, high blood pressure, high triglycerides, gout, heart disease, and weight gain in people who consume sugar-sweetened beverages. One particular type of sugar that in excess causes problems is fructose, found only in added sugars and fruit. Fructose may be more likely than other sugars to aim for the waist. Why? The liver metabolizes fructose, yet it can only process fructose at a certain rate. Turn that fructose into liquid, aka fruit juice, and let’s get this party started. Fruit juice comes in so quickly that the liver has no choice but to shelve the excess into fat stores. And guess what? The nearest fat stores are – you guessed it – belly fat. Study after study shows an increase in belly fat in people fed fructose. Belly fat, in turn, is closely linked to a higher risk of heart disease and diabetes. How much fruit juice is an okay dose without increasing belly fat? The average American gets about 25 teaspoons of added sugars a day, or over half a cup. The American Heart Association recommends getting no more than 6 and 9 teaspoons per day for women and men, respectively. To figure out how much you are consuming, divide the grams of sugar on a label by 4 to get teaspoons. A 12-ounce can of coke for example shows 39 grams of sugar on the label. Divide 39 by 4 and you have about 10 teaspoons of sugar. So if you are looking at the nutrition information of different juicing blends, aim for one that has no more than 8 to 12 grams or 2 to 3 teaspoons of sugar, to keep you within this desirable daily range. In terms of volume, this would be about 4 ounces of fruit juice. If you’re ready to go beyond juicing and max out the nutrition from your produce, ditch the juicer and go for the blender. When juice is extracted from fruits and vegetables, the beneficial fiber is left behind. Think of fiber as a sieve, preventing the sugar from entering the bloodstream too quickly. Studies show that when eating whole fruit the risk of diabetes decreases, which suggests that the fiber may very well be the reason for this affect. Directions: Place all ingredients in blender and blend until desired consistency. Enjoy. So there you have it. Juicing can be a great way to get a lot of tasty nutrition. Just remember: veggies, fiber, and don’t overdo with the fruit juice. Your body will thank you. Sharon Stewart is our latest and greatest Tips for Healthy Living writer. Sharon Stewart is a Registered Dietitian Nutritionist (RDN). 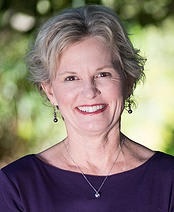 She offers personalized, one-on-one nutrition counseling in the Palo Alto area. She specializes in clients with obesity, diabetes, heart disease, and gastrointestinal disorders as well as nutrition check-ups for general well-being. She also works for Plus Health Management, providing nutrition counseling to the employees on the Facebook campus in Menlo Park. Feel free to contact her over at Sharon Stewart, R.D. Nutrition Consulting.